The ATS Acoustic Diffuser is a precisely calculated Quadratic Residue Diffuser (QRD) designed to evenly scatter sound energy and help eliminate comb filtering and flutter echo, acoustical problems that can seriously affect the clarity of sound in your room. Our 7-root well diffuser design begins scattering at 325 Hz and offers effective diffuse up through 3 kHz. 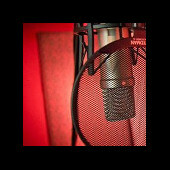 Diffusion is a popular, effective solution used in professional recording studios, listening rooms, and large auditoriums. Absorption panels can control these problems as well, but can sometimes cause dead sound if too much absorption is used in the small room. Diffusion on the other hand, adds a sense of spaciousness and retains the room’s natural ambiance. Thanks guys! Your panels do just the trick!